We do not know much about King David prior to being anointed King. He had been an ordinary shepherd. Key events in his life up until that point would have been the slaying of a giant and perhaps lions and bears. All of these were positions that he had control over. He could have let a lion or bear take his father’s sheep. There was no reason for him to get involved with fighting a giant. Prayer for protection from enemies became a necessity once his destiny was activated. Being anointed is dangerous. Those who would not have known about what God has placed in you begin to see it in you. Destiny demands a struggle. This is why King Saul who should have adored this boy who had stood up to the giant began to hurl spears at him. Your anointing will intimidate those whose attention you would have never gotten. 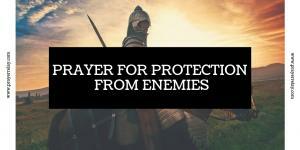 Raise Prayer for protection from enemies. None of this is reason enough to not walk in the purpose that the Lord has set out for you. He did not bring you this far to see you fail. Joseph was another example. The Bible tells us that when his brothers heard about his dream, they hated him even MORE. His coat of many colours was symbolic of his anointing. It earmarked him as being different from the rest. He was set apart in ways that his brothers were unable to make sense of. His dreams are a manifestation of his anointing. This is what aroused enmity in them. Your greatness will not sit well with everyone. Even those who have supported you at your lowest may become intimidated as you rise. 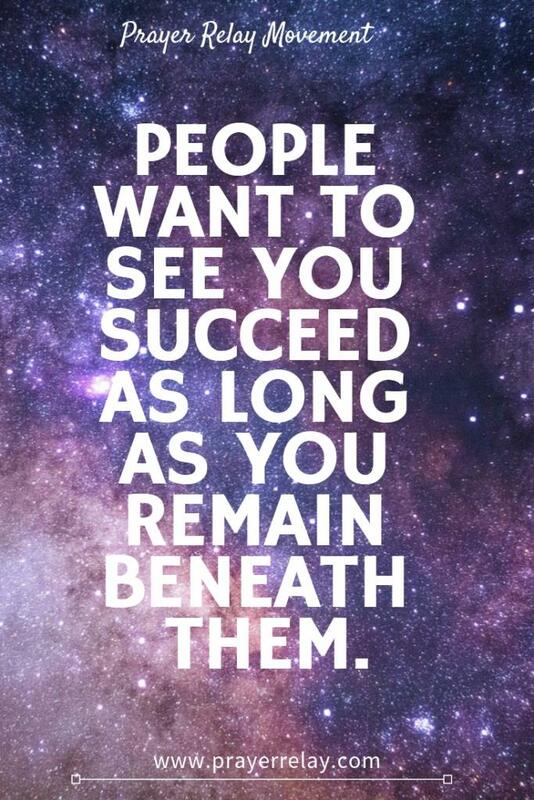 People want to see you succeed as long as you remain beneath them. His own father was somewhat taken aback by his dreams as well. People will no see what is in you, do not let that be a reason to stop running towards it. 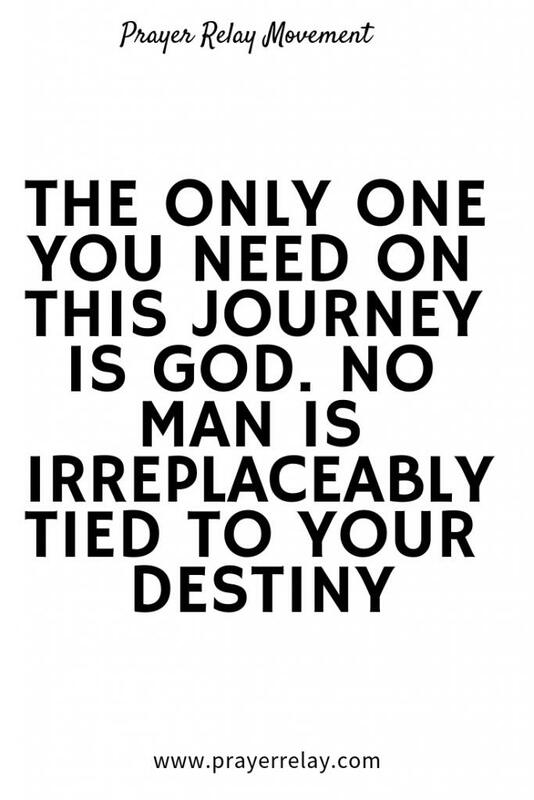 The only one you need on this journey is God. The scripture above says it all. No matter what is chasing you, or trying to derail your mission. God has the mandate to complete what he has started in you. It is in his nature to finish what he starts. You can rest assured of that. The enemy is always lurking, waiting for your most vulnerable moment. This is when he looks to strike. You are not alone in this walk. The Lord is the strength of your life. There is no one of whom you should be afraid! 1 O LORD, I have come to you for protection; don’t let me be disgraced. Save me, for you do what is right. 2 Turn your ear to listen to me; rescue me quickly. Be my rock of protection, a fortress where I will be safe. 3 You are my rock and my fortress. For the honor of your name, lead me out of this danger. 4 Pull me from the trap my enemies set for me, for I find protection in you alone. 5 I entrust my spirit into your hand. Rescue me, LORD, for you are a faithful God. Dear Heavenly Father, I stand in the truth, that, I am here for a purpose. It is not by mere chance that I am on this planet. What you have placed in me will not be terminated! Lord protect me. That I would not see disgrace, and your name would not be put to disrepute. Thank you for your swiftness in coming to my rescue when I call on you. You are my deliverer. The fortress in whom I am made safe. May your name be honoured as you lead me away from danger. Besides you, I have no one else to protect me. My spirit is in your hand. You are the one who gave it to me to start with. You can take it, and you alone can preserve me. Preserve me, my God. In Jesus’ name, I pray. Amen. Though a mighty army surrounds me, my heart will not be afraid. Even if I am attacked, I will remain confident. 4 The one thing I ask of the LORD — the thing I seek most— is to live in the house of the LORD all the days of my life, delighting in the LORD ’s perfections and meditating in his Temple. 5 For he will conceal me there when troubles come; he will hide me in his sanctuary. He will place me out of reach on a high rock. Father those that are coming after me seem mighty to me. Yet, you, Lord, are mightier. Fear will not be my portion. I will not be consumed by fear, but walk in confidence. Knowing that you are walking with me always. Lord when I am attacked from all angles. When nothing seems to be going my way, and I feel as though there is no way out. You are my way out. You are the WAY, the TRUTH and the LIGHT. I shall never walk in darkness. No falsehood will stand in your presence. Grant me peace, oh Lord. Peace in these storms. Give me stubborn faith, to stand in knowing that you are with me. In the mighty name of Jesus. Amen. Your enemies will seek to take you by surprise. At those moments in which your guard is down. This is when they look to strike. Yet, your God is not one to sleep or slumber. Just as he watches over the sparrow, he watches over you as well. There is a seed in you which God wants to see birthed! Father God, thank you for watching over me. I am made safe by your presence. Thank you for covering me in all that I do. May every arrow that is shot my way be another testimony. By my rescue and deliverance from every trap that my enemies set ahead of you, may your name be feared! Thank you for taking the time to pray with us. 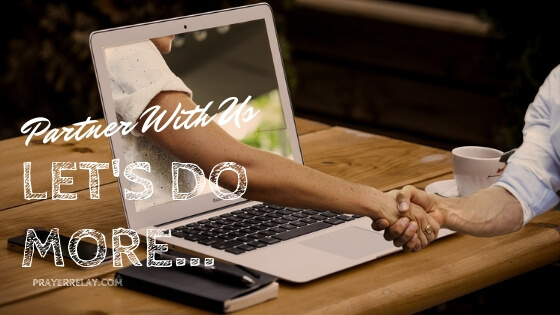 If you would like to support our work, consider becoming a PATREON.